We are actually better known as the fun acronym LSLAP. We are a student lead non-profit that provides free legal advice to people who can’t afford legal services. Biggest Perk: LSLAP offers you practical experience as a 1L! You are not going to find that opportunity elsewhere. LSLAP offers learning through real world experience rather than in-class theoretical learning. Here, you will be working with clients, writing legal documents and appearing in court. You can even run a full criminal trial or Human Rights Tribunal hearing. A key benefit of LSLAP is that you get out of it what you put in. If you want to do numerous cases in different areas of the law and make multiple appearances then you are more than welcome to! Students are encouraged to explore different areas of the law through our program and will always be greeted with the support of supervising lawyers and upper year students. By taking control of what I was learning in my degree, LSLAP ensured I had a satisfying first year experience. At my first client interview, I had an out of body moment where I realized this is exactly where I wanted to be and that I had made the right choices in my life to get here. Knowing that I would be able to help this person navigate through our intimidating legal system was a surreal and gratifying experience. The amount of friendships and immediate camaraderie that spurs out of LSLAP is remarkable, as LSLAP gives you the space, time and opportunity to get to know your fellow 1L’s as well as upper year students. These new friends will help you learn client interview tips, the best research methods, and what to wear in court. By the time you’ve completed first year, you’ll be ready to join this chain of mentorship that goes all the way back to our establishment in 1969. There’s a few bonus perks I should also mention. The program goes into Black Out during December and April Exams. This means no new clients and no court appearances. The program already has a lot of people in it. This means if you hang out in the fishroom (our office – you’ll understand when you see it) there’s almost always a fantastic learned 2L or 3L hanging out ready to help you work through file issues you might come across. The people running the program operationally are law students just like you. This perk is two fold: because we are students running the program, we understand the challenges that commonly face first year students. We are also always ready to help out anyone who is struggling so please ask. The second part is that means you, as a 1L can be an executive member starting in January 2017. 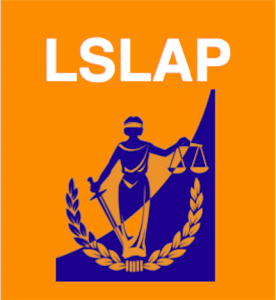 You could get a 1L summer job in a legal field thanks to LSLAP. Ever year, we have been able to hire between 12-18 students to be full time clinicians during the summer. By being an executive member you are guaranteed a summer job. In the alternative, there is a ballot system used to select summer clinicians. There are numerous ways you can earn ballots during the course of 1L and few requirements to be eligible. 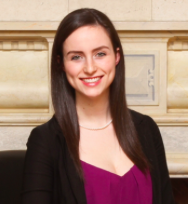 Not many 1L’s find a law related job in their first summer, making this a significant opportunity. Thank you for reading! If you have any questions or concerns please feel free to contact me at pr@lslsap.bc.ca. I seriously mean that! You will see many wonderful LSLAP people and myself during Orientation Week. Please come talk to us! Any of us would be happy to speak with you. You’re about to learn just how welcoming the legal community is.